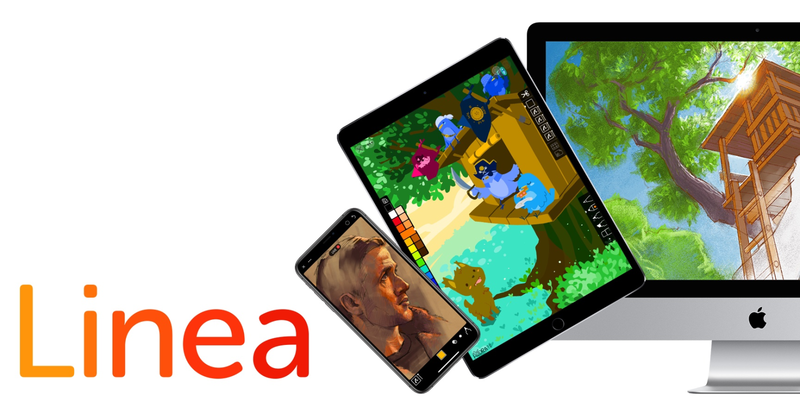 The Iconfactory, the company behind the popular Twitter app Twitterrific, has announced that its new drawing app, Linea Go, will be launched on the iPhone today! After announcing the product and having made it available for pre-order a few weeks ago, the drawing app now comes in your pocket. The company says that with the image ratios of the iPhone X / XS / XS Max / XR, Linea Go will enable new canvas sizes. It also says that all functionality and functions of Linea Go will come on Linea Sketch, the iPad version of the app. Our goal is to create apps whose capabilities are the same, no matter what device you use. There are a few minor differences between the platforms and we have discussed them in our updated Tips Tricks page. Take a quick look and you are sure to learn something new! The company also says that Linea Link, the Mac counterpart, will receive a small update today to support the new MacOS Mojave Dark mode and also supports all the drawings you create on your iPhone. Linea Go is available for $ 2.99 in the App Store.